Now see? 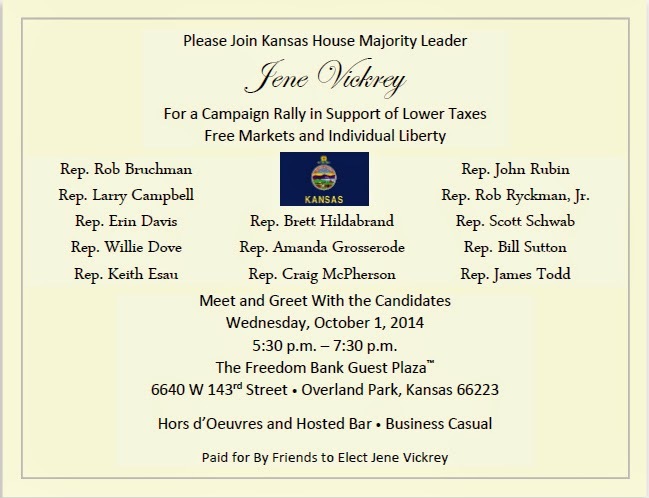 I would love to support Jene Vickrey, and some of my absolute favorite legislators are on this list. Unfortunately, so real duds are on this list too. A few of them pay only lip service to truly supporting individual liberty and free markets. I understand why they do these group things, but I would greatly prefer that they be very segregated affairs. I don't want to give anyone the impression that I am a public, vocal supporter of any duds. I'll leave it to you, readers, to determine which on this list are the duds and which are the studs. In other words, you're invited to join a dozen state legislators, 8 lobbyists, 2 bank employees who want to be there, 2 bank employees who don't want to be there, and 2 random voters who show up.